Do you spend lots of your precious time in cleaning your kitchen utensils and even after that you not quite successful in it ? Sounds funny, but it’s true. Sometimes even after a lot of try we can’t clean some tough mess. Don’t worry Scotch-Brite Sponge Wipe is here. 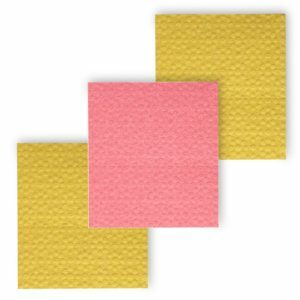 Amazon is offering Scotch-Brite Sponge Wipe (Large, Pink & Yellow, Pack of 3) worth Rs 140 at Rs 85 only. It cleans any mess in a single wipe. Flat 43% off. It’s a great price drop for a limited period of time. Hurry up and order now!! subscribe to Amazon prime to avoid shipping charges or Make the cart above Rs.599 to get free shipping. How to buy these Scotch-Brite Sponge Wipe?